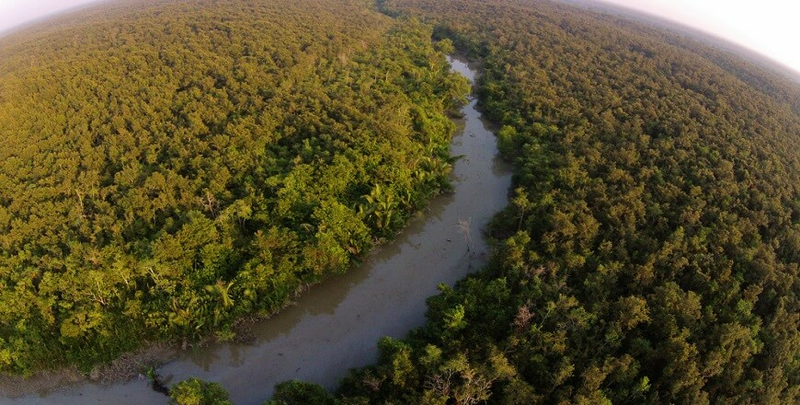 Sunderban a UNESCO World Heritage Site, which is famous for the ‘Royal Bengal Tigers. Get on board Sunderbans Cruise and sail through the world of roaring tigers. Consider it your lucky day, if you catch the glimpse of the ‘Big Cat’ swimming while cruising through the streams of Sunderbans. Today, in the morning, get transferred to the Millennium Park Jetty. In the afternoon, the cruiser will start sailing along the beautiful river Ganges towards the south. Take delight in the serene views of the river Ganges as the cruiser passes through various heritage sites. After a few hours of cruising, the cruiser will anchor at Namkhana, a fisherman’s cove and entrance to Sunderbans. Early morning, the cruiser will start sailing towards the east wherein guests have a chance to experience the lifestyle and culture of the local fisherman. After you enter Sunderbans, take a glimpse of the dense mangrove followed by a short excursion to Lothian Island or Crocodile project at Bhagabatpur. Later, the cruiser will anchor at the confluence of the River Malta and River Bidya. Later, enjoy visiting some exotic islands- Nethidopani, Dobanki and Sajnekhali via small creek boats and witness mangrove species and exotic wildlife. Today, after breakfast, sail back to Kolkata by cruising through the confluence of the rivers-Rupnarayan and Damodar. En-route, you will cross the ancient port of Diamond Harbour and the industrial town ‘Haldia’. Post breakfast; disembark the cruiser followed by direct transfer to the airport by afternoon.